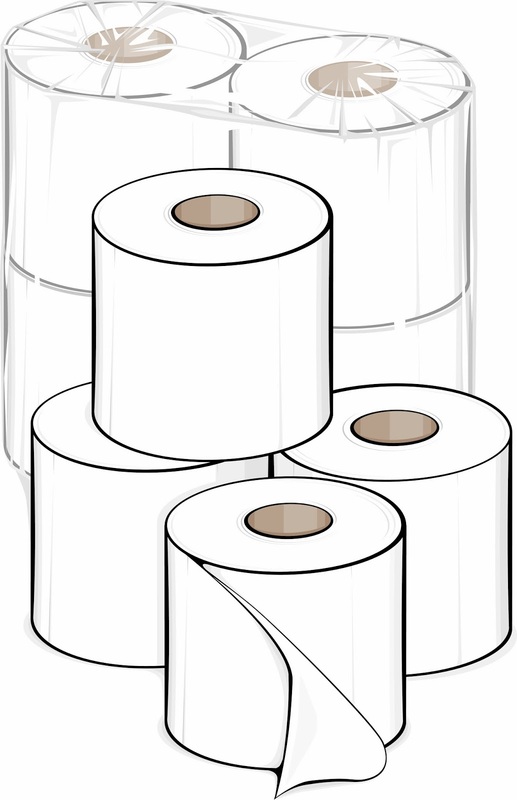 Have your kids ever "toilet papered" some one's yard? Have you seen kids doing this to a neighbor's yard? Has your yard ever had toilet paper wrapped around the trees and the light posts? If you answered yes, you are among the average American. And when this happens, what did you do? Did you get angry? Did you laugh it off? Were you afraid for your life? Did you ground your kids for doing this to someone else? Did you grumble unhappily as you picked up the mess? Did you chalk it up to normal kid mischief? Or did you shoot the kid who was doing it? A Tennessee man did the latter. Seriously, he did. Sooner or later, this was bound to happen. During the Shoot First hearings in the Minnesota legislature, those opposed to the bill spoke about various things that can go on outside in your yard or your "curtilage" as it was called in the proposed bill. Kids do run through yards. People do get lost and may come to the door. Kids do sell candy and popcorn after dark. Campaign workers do leaflet neighborhoods during elections. People do deliver things to people's doors. Sometimes kids next door make noise or ring your doorbell and run away. A granddaughter may go outside on your patio at night as this Minnesota young woman did and get shot by her grandfather who had a gun at the ready and assumed the young woman was an intruder. Should we just shoot first and ask questions later? A Tennessee man is facing multiple charges after shooting a 15-year-old boy with a shotgun when he saw him using toilet paper to “roll” a neighbor’s home. Franklin County Sheriff’s Office spokesperson Sgt. Chris Guess told the Chattanooga Times Free Press that Dale Bryant Farris had observed several teens spreading toilet paper around the yard of Huntland School Principal Ken Bishop on the night of Oct. 20. “Some kids got out at a residence over there to roll it with toilet paper and this gentleman came out of his residence a couple of houses over and shot one of the teenagers who was rolling this other guy’s yard,” the officer explained. This defies common sense. It is senseless and avoidable. Can you shoot a teen-ager for toilet papering a neighbor's yard? Where do people get the idea that this is OK? What if the boy had died from his injuries? But we have a gun culture, fostered and encouraged by the corporate gun lobby, that promotes fear and paranoia. When "Shoot First" or "Stand Your Ground" laws are passed, they give a license to kill another human being for very little reason and the shooter can get away with it. In Tennessee there is a Stand Your Ground law similar to Florida's. The Tennessee shooter in this case is being charged with aggravated assault. The boy was not in the man's yard so hopefully the Stand Your Ground law will not apply. In Texas Joe Horn shot 2 men who had robbed a neighbor's home as they ran through his yard. He got away with it. Stand Your Ground was his defense. These are dangerous laws. They have not and do not make us safer. Taking another human life is an awesome responsibility. Why make it easier? Guns are dangerous and designed to kill humans or animals. They should not be treated cavalierly and our laws should insist that people have a very very good reason for shooting another person or they should be charged with a crime. There is no excuse for the Tennessee man to shoot this 15 year old boy. Luckily for both, the boy will recover from his injuries. It's time for a change to our gun culture and our gun laws. The laws need to be strengthened, not weakened as Stand Your Ground laws and loose conceal carry laws do. I referred to this in my last post. We are better than this. Enough is enough. Let's get to work. I don't need any lectures about conceal and carry. But thanks for taking a look at my blog. You and I are not on the same page about the issue so will likely not be changing each other's minds. Tennessee is 7th highest in the country for the number of gun deaths at 15.03/100,000. That is not exactly something to brag about.